We all have heard the quote above at a certain time in our lives; I heard it like gazillion times while growing up. A quote that says a lot about saving. There are other phrases that have the word saving as a content; for example, “Saving for the raining day”; “Saving for the future” etc. We all know these phrases and try to embed their meaning in our daily lives; but what exactly does this saving mean. 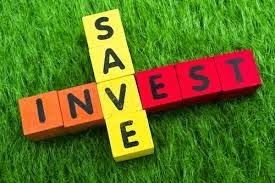 Saving is the act of setting aside amounts of money from your income for future purposes; the future could be tomorrow, next week, next month, next year, even a decade from today, all depending on the saving goal.Let’s plug in figures to the definition; a given amount of our monthly income is saved every month; say N20,000 and over a year it adds up to N240,000. Easy isn't it? We can call this the Addition Effect. But what if we just don’t set money aside, we let this money work for us; i.e. the money we set aside generates more money for us. Interesting yeah! Sure we have also heard this quote; ‘Making money multiply”, we can call this 3 Ms of investing. This quote forms the basis of investing. A while back I heard this podcast from one of our very own life strategist were he said, "A wealthy man uses his income to buy assets that pay for his liabilities while a poor man uses his income to pay for liabilities". Funny quote isn't it but what keeps ringing in my head from the quote is "………uses his income to buy assets" as this totally relates to investing. So what is investing? It is the act of setting aside amounts of money from our income to buy assets that would produce more income for future purposes. Comparing this definition with the savings definition, setting aside amounts of money sticks out but what we do with that money is what defers. 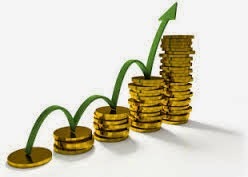 Let’s plug in figures using the scenario from above, we set aside N20,000 from your income in a month to invest in an asset that produces say N1,000 every month, so using the additions rule, you have N32,000 over a year i.e. your initial N20,000 plus the N1,000 earned monthly over the year. Now imagine this is done every month, then N20,000 each month spun over various months into future years, unimaginable yeah? Now that is what I will call Multiplication Effect and what people call,“making your money work for you. Which would you prefer; a life embedded in a saving culture or an investing culture? We should all be preparing to move to the new culture of building baskets of wealth from little fruits of money. I learnt about it pretty late or rather I thought investing was all about having a huge amount of money piled up somewhere before making good use of it. I thought wrongly because one of the wealthiest men in the world; Warren Buffet, started small and grew his wealth over the years to what it is today. It is all about adhering to that culture; the investing culture. Thinking like the life strategist, you never know, someday we all would be wealthy people.